There is a running joke on social media about getting a mini heart attack every time you feel for your phone in your pocket and finding it missing. It has a happy ending with you finding it in the other pocket or in your purse or remembering you left it charging at home. Well, most of the times. Sometimes it that you have actually lost it. No, you don’t get a heart attack when you actually lose your phone. Maybe get confused and panic a little. In addition to losing something you invested your money, getting your smartphone stolen means you lose all the data and contacts you have stored in it. 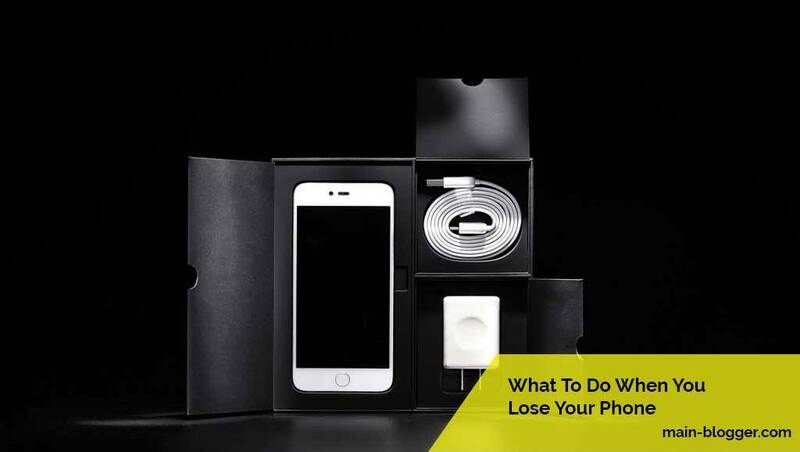 Confused as you may be from losing your phone, here's what you should do when you realize your phone is missing. If your phone is locked and you accidentally drop or misplace it, and someone picks it up, they will have no way of contacting anyone in your phonebook. It is therefore important to immediately call your number the moment you realize your phone is missing. If it’s not a thief, chances are they will pick up and return it to you, but you have to do that before the battery dies out. This may look like a lost cause, but making a police report will protect you in case your phone is used for criminal activities. Depending on your country and carrier, a police report with your device’s IMEI number is required to block mobile networks from providing service to your smartphone as long as it remains reported as stolen. Ideally, you should use your Android Device Manager or Find My iPhone before you lose your phone to prevent easy access to your smartphone in case of loss. In the case that you didn’t enable them and you lose your phone, there is still hope; you can log into the web versions or use another to a device with your account. Through this, you can then lock your device and/or wipe out its entire memory to prevent unauthorized access to your data and apps. Android Device Manager or Find My iPhone also enables you to track the location of your smartphone using GPS provided it is still on.Outside operating system security options, there are third-party apps and devices to help you track your phone and prevent the thief from ever using it. Sniffer for mobile phones, for instance, uses the IMEI number to track your smartphone and block calls from ever being made from it. Apps like Android Lost and Prey also help in tracking and erasing data off your phone. If you lose your smartphone and chances of getting it back are bleak, then you should log out of all the accounts that were accessible from the lost device. You may have erased all the data from the smartphone, but it is still a good security measure to log out of all the accounts there. You can go further and change your account passwords.